Baystate Medical Center's 10-week Summer Student Scholars program is for rising junior and senior college students who are exploring a career in research, public health, medicine, or other healthcare professions. The 10‑week summer program offers you the chance to engage in a variety of hands-on activities, such as clinical and non-clinical shadowing, education on research methodology, and participation in a mentored research project that will provide you with valuable insight into these careers. Summer Student Scholars participate in the conduct of medical research that is part of a larger project. The experience is designed under the direct mentorship of a full-time faculty member of University of Massachusetts Medical School. Under the mentor’s guidance, students deliver two oral presentations: on the project’s hypothesis and specific aims at the beginning of the program, and the research results at the program’s conclusion. Presentations are held before the Baystate Medical Center mentors and Summer Student Scholars. In addition to the hands-on research experience, students participate in lectures on the basics of research and seminars where practicing investigators share their own research experiences. Students may elect to attend the many scientific lectures and clinical conferences offered throughout Baystate Medical Center. 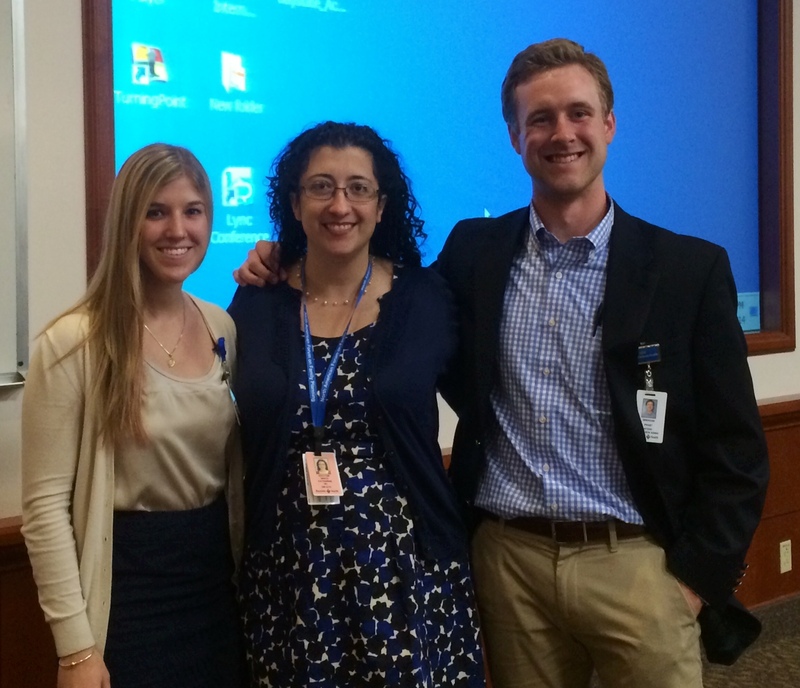 Katharine White, MD, MPH, Chief, Division of General Obstetrics and Gynecology and her 2013 summer research scholars, Erin Amato and Brendan Prast, presented during Academic Week 2014 on two topics designed to help women achieve the best timing for growing their family. The presentation investigated the risk factors for why some women have a repeat pregnancy much sooner than they want after having a baby and also the impact of giving teenage mothers the most effective birth control methods before they leave the hospital with their baby.